Ebanista is a tribute to highly sophisticated taste… a complexity and warmth that are seldom seen together…contrasting characters that complement one another…the nobility and beauty of the finer materials…the dedication, patience, and pride of craftsmanship…antiquity, patina, and expert technique…graceful lines…sensitivity to proportion and pedigreed details. Ebanista’s unique interpretation of classics encompasses an extensive collection of furniture, upholstery, lighting, textiles, rugs, paintings, mirrors, and objets d’art- all characterized by a distinctive quality and an appreciative value. Known for luxury and sophistication in the world of interior design, Ebanista’s collection has an elegant yet comfortable quality where impeccably antiqued rugs are perfectly at home with haute rock crystal chandeliers. Styles, eras, and heritages are layered and mixed with orchestrated ease. Click on the “Recent Posts Menu” on your right or simply scroll down to see The LUXE Magazine Article, Janus et Cie, Phillipp Selva, A. Rudin, John Rosselli, Powell & Bonnel, Marge Carson & Lorts Luxury Line posts and more. Donghia’s collections of furniture, textiles, wallcovering, lighting and accessories are sold exclusively to interior designers like Glen Lusby Interiors and architects through Donghia’s twelve showrooms across the United States and in more than fifty representative showrooms throughout the world. The Company’s design profile continues to evolve. Pieces within this collection complement and enhance each other and can seamlessly fit into any decor – traditional, contemporary or an eclectic mix. No matter what into the design spectrum; from traditional to highly contemporary, with a professional interior designer by your side you will find a look you have been searching for and the service you expect with Glen Lusby Interiors. A unique and personal design statement becomes a reality for our clients using Donghia luxury furniture. With a forty year history at the forefront of the luxury home furnishings industry, Donghia represents American design at its best. Call Glen Lusby Interiors at 773-761-6950 to enhance the design of your Home or Office with Rich Textures and Engaging Art. Donghia textiles, wall coverings, furniture and lighting are used in a wide variety of prestigious residential and commercial projects including hotels, restaurants, retail, ships, yachts, aircrafts, theaters, and public spaces. With Glen Lusby Interiors and their capabilities, flexibility, and proficiency, you can choose color, texture and finishes, as well as connecting with the worldwide network of their mother company Rubelli, this makes Donghia an ideal source for any project. Glen Lusby is a “Designer on Call” and we invite you to see the DONGHIA luxury furniture Line at the Chicago Merchandise Mart “Design Center”. Think you need to be a trade professional to access all that the Design Center has to offer? Think again! Our Designer-on-Call program gives you the tips and tricks of the trade along with entry to the world’s largest and finest Design Center. Any purchases on your “Designer On Call” visit will qualify you for designer discounts and include any showroom or manufacturer discounts + showroom floor samples. Would you like to know more? Call Glen Lusby Interiors and schedule your complementary “Designer on Call” Design Center consultation appointment now at: 773-761-6950. Explore with Glen Lusby Interiors, at The World-Famous Chicago Merchandise Mart Design Center, and Design Centers in Arlington Heights Illinois, New York, Florida, Las Vegas Nevada, California and Furniture and Accessory sources in Europe. Contact us with questions about your home, interior design or design services. Call me at 773-294-2781 or just CLICK HERE to send an e-mail. As long as you are here please see our “Best Picks” as well as our “Sale & Event’ pages, just click on the toolbar above. To see the Powell & Bonnel, Marge Carson, Lorts & JANUS et Cie Luxury Furniture Line posts and more, click on the “Recent Posts Menu” on your right or simply scroll down. Enhance the design of your Home or Office with Rich Textures and Engaging Art. Explore with Glen Lusby Interiors at The World-Famous Chicago Merchandise Mart Design Center – Call us at 773-761-6950, GAIN ACCESS TO JOHN ROSSELLI LUXURY LIGHTING LINES PLUS OVER “100” INSPIRING TRADE ONLY SHOWROOMS FILLED WITH EVERYTHING YOU NEED TO FURNISH YOUR HOME OR OFFICE. Over fifty years ago, John Rosselli opened his first antiques shop in New York City. He quickly created a destination for interior designers and architects who came to rely on John’s sophisticated eye and the shop’s ever changing inventory of antiques and furnishings. In 1980 they began creating reproductions of antique accessories, lighting, and occasional furniture. Painted finishes, exacting detail, and the ability to customize quickly established the Rosselli workroom as an important resource for the interior design community. By 1985 John’s nephew Jonathan Gargiulo joined the company and shortly after opened a Rosselli showroom in NYC’s D&D building. At this time the business was expanded to include additional lines of furniture and lighting, as well as fabrics and wall coverings. Soon after opening the John Rosselli showroom, the company became the exclusive distributor for British designer Robert Kime fabrics in America. Over the next ten years three additional trade only showrooms were opened: Washington, DC, Dania, FL and Chicago, IL. Each has quickly become popular with designers who appreciate John’s timeless sense of style and lifelong commitment to quality. Today John Rosselli continues its traditions of bringing new and exciting products to market and maintaining a distinguished staff able to accommodate your design needs. Glen Lusby is a “Designer on Call” and we invite you to see all of the John Rosselli Luxury Line plus shop on 4 floors of Trade Only Showrooms in Chicago’s Historic Merchandise Mart Design Center, in the heart of downtown Chicago. The Design Center is the worlds largest resource for custom home furnishings and interior design. Over 100 Trade Only Showrooms offer the finest luxury lines and brands available only to interior design professionals. To see our Design Center Page just click:World Famous Chicago Merchandise Mart . Would you like to know more? Call Glen Lusby Interiors and schedule your complementary Designer on Call Design Center consultation appointment now at: 773-761-6950. Explore with Glen Lusby Interiors, at The World-Famous Chicago Merchandise Mart Design Center, and Design Centers in New York, Florida, Las Vegas Nevada, California and Furniture and Accessory sources in Europe. We would like to be your trusted consultant, contact us with questions about your home, interior design or about design services. Please call me at 773-294-2781 or just CLICK HERE to send me an e-mail. As long as you are here and after you have read our posts, please see our “Best Picks” as well as our “Sale & Event’ pages, just click on the toolbar above. “Interior design is a process. And a collaboration with you. Because to you it is more than a project – it’s your home or office. We create environments designed to reflect and express the individual tastes of the clients who live and work in those spaces. My job is to guide you from the beginning ideas and concepts to the finished rooms, and have you enjoy every step of the way”. Originally from the Kansas City Missouri area I started my college education at the University of Northern Colorado and completed my schooling at the University of Missouri, Kansas City, where I received a B.A. in Art History. It was during this time that I decided to pursue my interest in art and interior design. I began my work in the interior design field with a firm in Kansas City. My initial duties required me to make trips to Chicago for selections and orders. After a short time I established an office for the firm in Chicago. I chose to stay in Chicago and took a position with a design firm on the North Shore. Ultimately I joined Greg Stratman Interiors at their LaSalle Street offices. When Stratman closed it’s doors in 1990 I became a licensed Interior Designer and went into business on my own. I have come to understand how to put my personal taste aside and work to the particular desires of each individual client by using diverse styles of furniture, textiles, textures, and color. It is true that my personal design style leans toward Art Deco and 30’s modernism. However, this never colors the work I do for my clients because of my diverse education and, having the good fortune to work with seasoned professionals throughout my career. At Glen Lusby Interiors our goal with every client is to work with them; not for them. We feel this makes the design process go more smoothly and allows our client to have fun with the project. We understand it’s important for the you to enjoy the working relationship and the time invested, because the finished product is going to be with them for a long time. This approach to the design process, along with our technical skills, accounts for the longevity of many of our clients, some of whom we have worked with for over 20 years. We would like to be your trusted consultant when you have questions relating to your home or place of business. Click on the Picture above to See Interior photos of this Luxe Magazine award winning home and more. We work from a design contract, and encourage our clients to take advantage of purchasing items from Trade Only Showrooms in Chicago’s Historic Merchandise Mart Design Center, New York, Florida, Las Vegas Nevada, California, and from our custom work rooms and other sources in the United States and Europe, where we can discount the the merchandise from the normal retail pricing. As part of the Chicago Merchandise Mart Design Center “Designer on Call” Program, we invite you to shop on 4 floors of Trade Only Showrooms in Chicago’s Historic Merchandise Mart, in the heart of downtown Chicago. The Design Center is the worlds largest resource for custom luxury home furnishings and interior design with over 100 Trade Only Showrooms that offer the finest Luxury Furniture Lines and Accessories available only to interior design professionals and now you . Click Learn More to see our design center website page. Call or email us and ask for The Designer on Call Program and request open dates to visit the Merchandise Mart. Glen Lusby Interiors – Designer On Call, will act as your buying agent. You will receive a complimentary Design Consultation and enjoy a one time discount including any showroom & manufacturer samples or price reductions. Anything purchased on your Designer On Call visit will be provided to you at only 20% over our net cost with no interior design fee. You will be responsible for any sales tax, shipping/delivery charges or special upgrades or handling requested by you. With any purchase we also will provide a complimentary design consultation in your home within 100 miles of Chicago. You are invited to visit our Picture Gallery (Click Here) where you will find more than 70 photographs showcasing some of our best design work in homes and condominiums in Chicago, Wisconsin, and Florida. Luxe interiors + design Magazine has placed us on their National Gold List for our work on a stunning & graceful Geneva Lake Home (Click Here) and we invite you to look at the article by clicking on the Luxe icon when you get to the page. The Luxe Magazine National Gold List represents interior designers, architects, builders, and landscape architects who had their projects featured in the “Home Features” editorial section of the Luxe interiors + design Magazine. This magazine publishes the work of more design professionals than any other magazine of its type! As long as you are here and after you have read our posts, please see our “Best Picks” as well as our “Sale & Event’ pages, just click on the toolbar above. We look forward to using this vehicle to bring our friends news, tips and information about great people, places and things as we discover them. We encourage you to use this vehicle and our Facebook page to interact with us; tell us what you like or just say hello. We would like to be your trusted consultant for any interior design question or questions about design services. Please call me at 773-294-2781 or just CLICK HERE to send me an e-mail. We welcome your referrals. 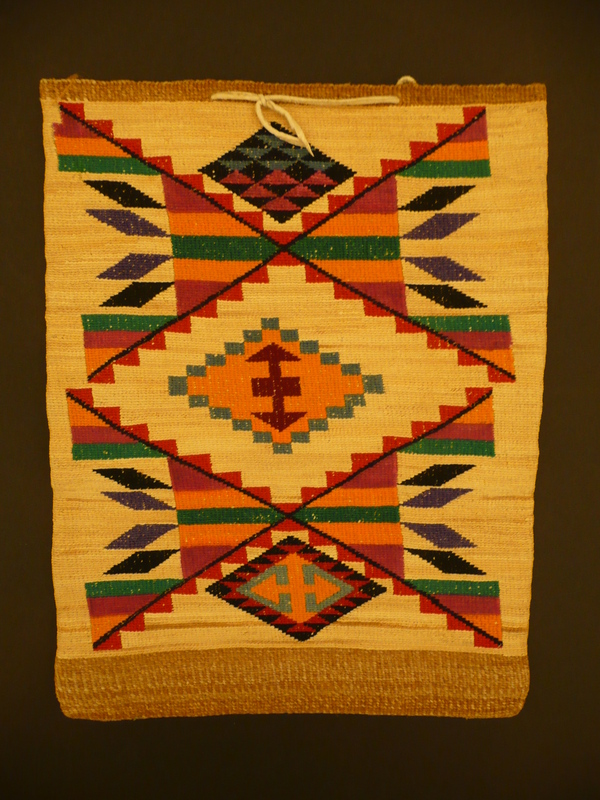 Shown here is a sample of Plateau bags. The average price per bag ranges from $3000. – $5000. We are still excited to share that Glen Lusby Interiors was recognized in the annual Luxe interiors + design Magazine national GOLD LIST . The GOLD LIST represents interior designers, architects, builders, and landscape architects who had their projects featured in the”Home Features” editorial section of the Luxe interiors + design Magazine. 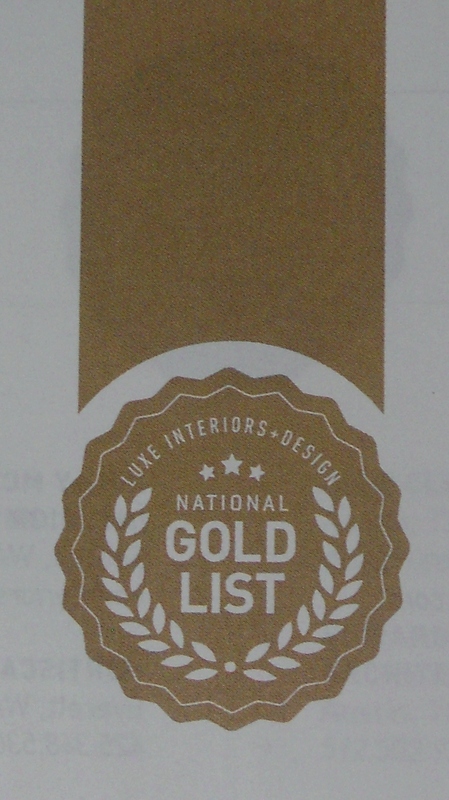 Luxe will feature the GOLD LIST annually in the summer edition of their magazine. You can see the Luxe article featuring our work on this Geneva Lake Home with interior photos and information about furnishings on the second page of our website just click on ( LUXE MAGAZINE GOLD LIST ) , then click on the Luxe Magazine icon on the second half of the page. Please feel free to contact us about our interior design services at 773 761 6950. Join our online community to keep in touch with us and get access to the latest products, news, events and more! Please “LIKE” our Facebook page. As part of the Chicago Merchandise Mart Properties Designer on Call Program, we invite you to shop on four floors of Trade Only Showrooms in Chicago’s Historic Merchandise Mart, in the heart of downtown Chicago and purchase the best lines of furniture & accessories. Choose your level of service, bring or send us your favorite swatches, magazine clippings, pictures, floor plans and let us give you professional advice – Already know what you want to purchase? Contact us by phone or email with your information and we will send you a Estimate of the cost and shipping charges, for your approval. You will receive a complimentary Design Consultation and enjoy a one time discount including any showroom & manufacturers price reductions. Anything purchased will be provided to you at 20% over our cost with no Interior Design fee, with check or bank transfer, discounted from a projected 23.5% with a credit card. You will have access to trade only showrooms like: Baker Furniture, Janus et Cie, Pearson – Hickory Chair, Henredon, Robert Allen – Beacon Hill, deAurora – Hickory White – Habersham, Kallista, J. Robert Scott, Noure’s Oriental Rug and so much more. We would like to be your trusted consultant for any interior design questions you may have. 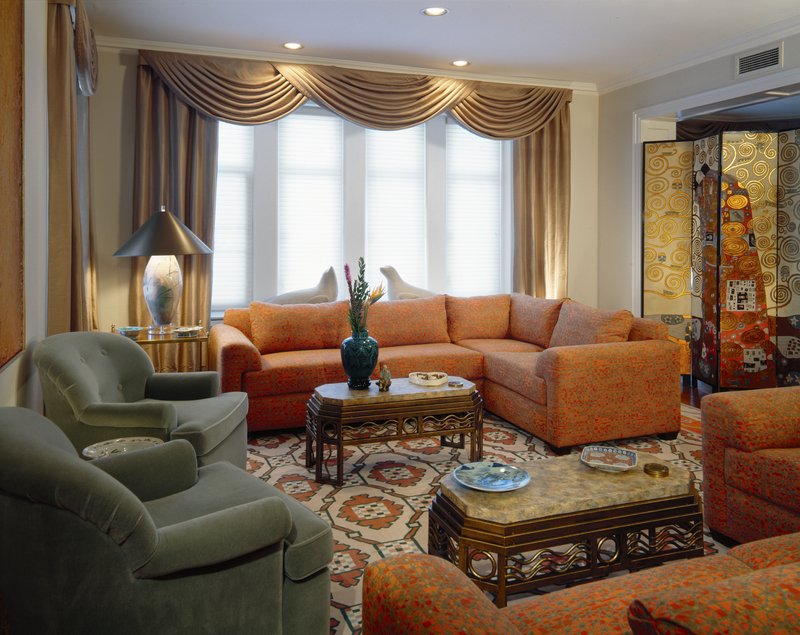 Your calls & emails about interior design questions are always welcome: 773-761-6950. The Design Center is the worlds largest resource for custom home furnishings and Interior Design. Over 100 Trade Only Showrooms offer the finest lines and brands available ONLY to Interior Design professionals. Call or email us and ask for The Designer on Call Program and request open dates to visit the Chicago Merchandise Mart. Glen Lusby Interiors – Designer On Call, will act as your buying agent. You will receive a complimentary Design Consultation at the Historic Chicago Merchandise Mart and enjoy a one time discount including any showroom & manufacturers price reductions. You will be responsible for any sales tax, shipping/delivery charges or special upgrades or handling requested by you. You are invited to visit our Photo Gallery (Click Here) where you will find more than 70 photographs showcasing some of our best design work in homes and condominiums in Chicago, Wisconsin, and Florida. As long as you are here and after you have read our posts, please see our “Best Picks” as well as our “Sale & Event’ pages, just click on the toolbar above. We look forward to using this vehicle to bring our friends news, tips and information about great people, places and things as we discover them. We encourage you to use this vehicle and our Facebook page to interact with us; tell us what you like or just say hello. We would like to be your trusted consultant for any interior design question or questions about design services. Please call me at 773-294-2781 or just CLICK HERE to send me an e-mail. 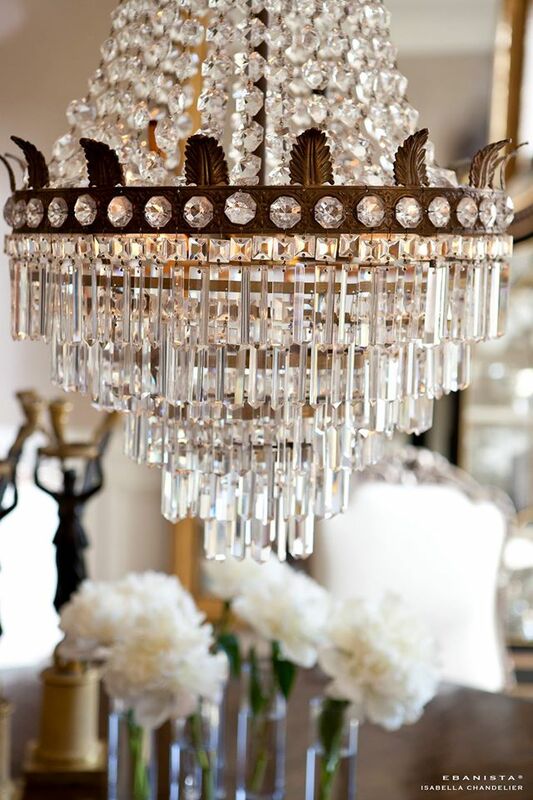 This beautiful chandelier is made for you in custom sizes and finishes. You can purchase this beautiful chandelier, through the Designer on Call Program at 20% over our cost. Call us at 773-761-6950 or email us for additional information.